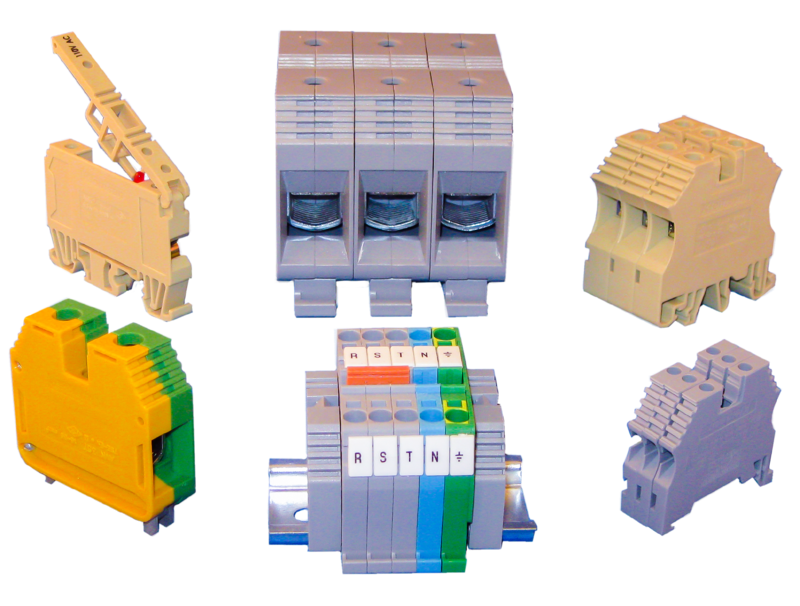 Power terminal blocks with a full range of accessories including color choice, end brackets, end plates, labels, etc. UL, CSA approved. We are happy to design and build a custom terminal block, pre-mounted to a DIN rail for you. Download our catalog or give us a call to see the available options.